Doctors warn of the link between use of Facebook and adolescent depression.Depression developed for adolescent users is the new threat related to social networks, according to an influential group of doctors from the United States . Researchers are not sure yet whether this type of illness is an extension of classical depression, or if there is a separate issue strictly linked to the use of Facebook. According to Gwenn O’Keeffe pediatrician in Boston, certain aspects of social network use can impair teens who already suffer from lack of confidence. Thus, exaggerated statuses or photos of friends in which they seem happy, can make the kid feel worse if they feel they haven`t a life like others. 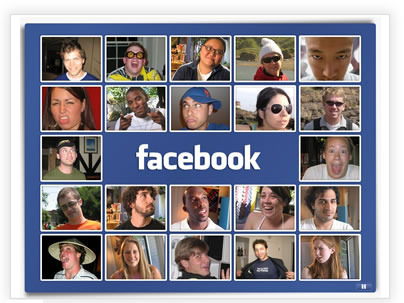 Some young people say that they have never had such problems with depression, caused by Facebook, but admited that social networking can lead to such a condition. If they don`t have very many friends, don`t do much with their life and saw others happy with their friends, we can tell how upset this kids are.On Facebook everything is like a big popularity contest, whoever receives the most requests for friendship and who appears in most pictures. No matter how useful is Facebook , people should not abuse and trust too much in him. Here’s what happened to people who have not done that. Is Facebook safe for our kids ? A young man of 18 years suffered terribly after being abandoned by his girlfriend, and when the girl removed from the list of Facebook friends, he made ? ?another account to fool her. He noticed that his ex had made ? ?new male friends who was very … friendly. This thing has caused an asthma attack to our young man. Every time he come up and see the pictures or comments the crisis repeats again. The boy suffered from asthma for a long time, but he control it through medication. Doctors who examined the case say that mental stress and anxiety can cause some serious asthma crises, so that their recommendation for teenager was a break up. Even if Facebook is a social networking, psychologists say that online conversations are not comparable with real interaction. When you sit at the computer you are isolated and the isolation has many effects on health. Risk of Alzheimer’s, cancer or stroke is higher among lonely people. The conclusion is that those who spend too much time on Facebook may have health problems, especially the people whho are generally sedentary and have a bad diet. Im sorry but that guy is just stupid he is the reason for his own depression not facebook! Its his fault because he wanted to still see what his ex was doing but she obviously didn’t want to hurt him by what she was going to post because she removed him from her friends list!! sorry man…but you are the fault for your depression….being dumped is part of life….get over it, there are many fish in the sea you will find another one…thrust me….cross the bridge and continue with life….